If you still aren’t already sold on the cost saving awesomeness that are Airbnbs, before I explain how to avoid a terrible Airbnb, I’ve taken a moment to list just a few of the reasons my wife and I have made the permanent switch. However, if you’re already sold on an Airbnb and just need the scoop on reserving the best Airbnb for your next trip, feel free to skip ahead to the enumerated steps located just a quick scroll below. 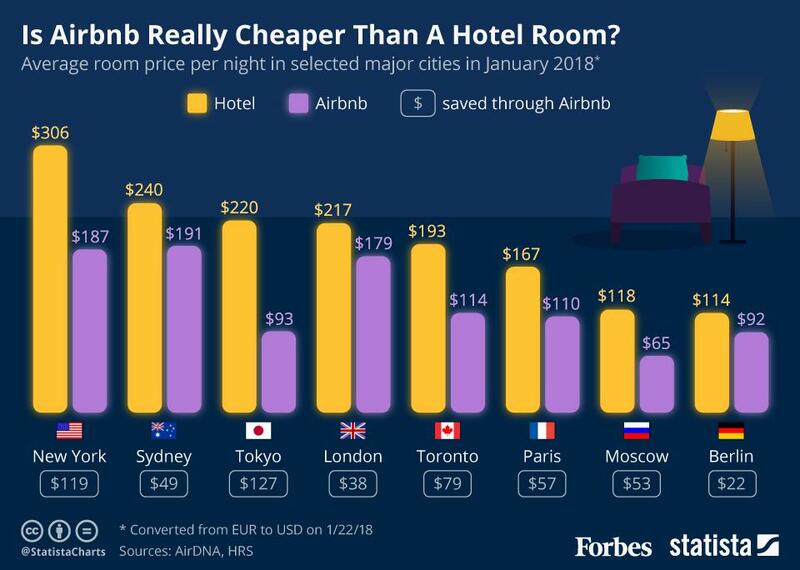 The obvious reason for booking an Airbnb instead of a standard hotel is certainly the potential for large cost savings. Depending on your source, the savings may not always be worth some of the downsides (but I disagree). It’s also important to note that although hotels generally have a few options that affect price, when searching for the right Airbnb, there are a very wide variety of options that can greatly affect the final cost of your stay. 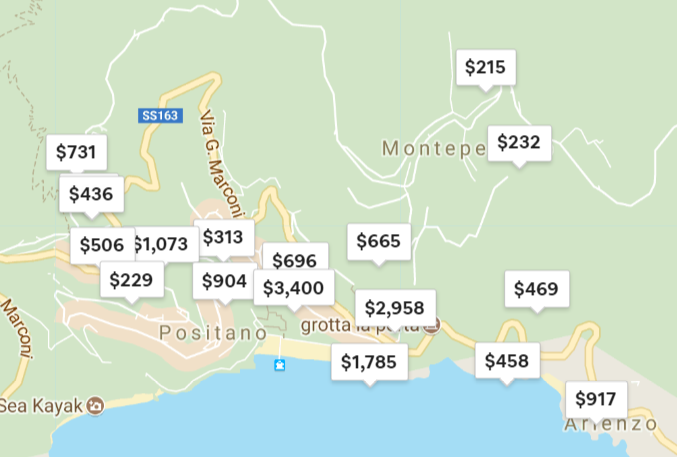 I can say this definitively from my own personal experience – having used Airbnb to save up to 50% or more while exploring Europe these last two years. Proximity – How close to the action do you need to be? While there aren’t always hotels close to an event or location you may be interested in, there’s generally always an Airbnb close by. Concierge services – Many hosts are known for their friendliness and are more than willing to assist you navigating the city or neighborhood. Last-minute cancellations – Airbnb hosts are humans and things happen, so last-minute cancellations are certainly a possibility (but can also be successfully avoided, please continue reading). Hardware failures – Unlike hotels, there are not rooms a plenty, so if the one and only shower head breaks, you may go a day without feeling “so fresh and so clean, clean” while a technician does their thing. Extra chatty hosts – Not everyone values personal interaction, feedback, or assistance in the same way. Varying comfort standards – Different people are accustomed to different standards of living across the globe. In Europe, crappy beds, extremely small showers, and tiny apartments without air conditioning are absolutely a thing – even in the summer time. Hotels know better and generally cater to the lowest common denominator (i.e. needy and/or pampered westerners). This is often not true for individuals renting out some of their extra space on Airbnb. The good news is, if you read the simple steps I’ve outlined below, you can optimize all the benefits of an Airbnb and minimize or eliminate the potential risks that I highlighted above. This one is completely up to you (google maps FTW). Immediate considerations are of course proximity to the airport or your destination, parking requirements, public transportation options, and whatever else will make your stay the most enjoyable. Using the integrated Google map provided by Airbnb makes refining your options by location very simple. Although Airbnb will not give you an exact address (for good reason), it gives you a very good idea of the location. As you can see, the prices fluctuate widely based on location, but low, median, and peak prices are easy to ascertain. All you would then need to do is pick your own personal limit. Next to location, your requirements will be the second major factor determining your Airbnb options and final price. Accordingly, if your basic expectations are not met your stay will ultimately not be enjoyable. As such, use the list below as a starting point to develop your own personal search criteria. Air conditioning – in Europe and many other non-westernized locations, this is not a given. If you’re planning summer travel and don’t thoroughly enjoy sweating in your sleep, this might be something to make sure is included. Parking – paid, free, available? These options can vary widely, and of course, can also have a big impact on price. Some locations have extremely limited parking available and asking potential hosts about the situation beforehand – or reading the reviews – are key to avoiding heartbreak in this category (if you’re bringing a rental car, of course). Breakfast provided – if groceries or cereal are not your thing in the morning, make sure your host is providing a breakfast. If not, and you’re on a budget, make sure shared cupboard and/or fridge space is available instead. Living space – do you need an entire house or apartment to yourself, or is a single room with shared common spaces (living room, bath, etc.) good enough? The less space and privacy you need, the more broad and economical your options necessarily become. Pets – obviously a very important consideration if your best traveling companion has fur, feathers, or scales. Language – if you’re traveling internationally, this could be very important. However, Google translate and voice dictation are truly breaking down the language barriers. So maybe this doesn’t matter all? Treehouse – in case this is really important to you, it’s an actual option Airbnb. Beat that, Hilton. Superhost – by selecting this option, you are assured that your host meets certain criteria that all but guarantee a great experience with Airbnb. Most importantly, Airbnb hosts cannot obtain or maintain superhost status if they cancel any reservations (with certain exceptions). The possibility of cancellation, of course, being one of the drawbacks I mentioned above. The entire list of superhost requirements can be found on Airbnb’s website. Using the More filters option and given consideration for the items listed above—and of course, your own personal preferences—simply update the filters to pick your perfect property. Toggling between private home, shared room, and other materially cost-affecting options will ultimately help you reach the perfect balance between price and amenities. I’ve also found that booking well in advance (2-4 months out) is key to finding gems at an affordable price. Beware of photos that showcase the city but are unrelated to the actual property. This practice seems rather common, as we ran into this during our Airbnb stay in Barcelona. It ultimately had no lasting negative impact, but if we were banking on a particular street view, this may have been a downer. Be sure to confirm check-in and check-out times, as they can vary widely. This matters if you’re arriving on a late flight and your host isn’t thrilled with letting you in 11:00 pm. Some also charge extra for late arrivals. Conversely, if you’re arriving early (i.e. before check-in) and would like to drop off your bags to explore the city, make sure your host provides this option (Airbnb typically makes it clear if this an option or not). If you book a room with a host that is not a superhost (to save money or other), I recommend reaching out to them to confirm your arrival date, especially if it’s on a holiday or an otherwise special date. I say this because my wife and I booked an Airbnb in Paris for New Year’s Eve a full four months in advance, and our non-superhost cancelled on us one month before our trip. This turned out to be fortuitous, as we ended up landing a much cooler (and unfortunately pricier), alternative accommodation. Although it was helpful and appreciated that Airbnb provided a discount on the new booking, it was not an experience we would like to repeat. Communicating with your host ahead of time could certainly mitigate your chances of enjoying a similar experience. There you have it. These are all the things we’ve picked up from traveling Europe the last two years that I thought might be helpful to others. If you have any questions or additional tips, feel free to leave a comment or drop me a note. Perhaps Email is Not The Best Medium?